The trio behind Cavalier Brewing made their very first appearance at a Fed Square Microbrewery Showcase back in 2011. They were still up at 1am the night before carbonating kegs of the first three beers produced on their 100 litre kit. These were a pale ale, a brown ale and a hefeweizen. They rocked up late to the event, where they poured beers from a series of 20 litre homebrew kegs – and ended up leaving with the Best New Brewery and Best Beer titles. 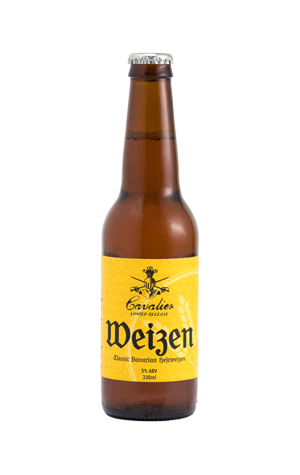 The latter went to the hefeweizen, or Weizen as they call it: a full-flavoured and pretty full-bodied take on the Bavarian beer. However, as seems to be the case with wheat beers, there's not a huge demand for the style across Australia. Thus, over time, the beer was retired as the Cavalier business grew in all manner of directions. But now, as they prepare to host the VIP Beer Garden at the first Brewers Feast (a festival in the ground of Abbotsford Convent on October 28 and 29), Weizen is back, so if you're in the mood for a blend of bananas, cloves, bready malts and a gentle tartness, keep an eye out for its bright yellow livery.